We’re all excited about Windows 10 operating system, and so far, Microsoft has done a great job with its Technical Previews. We saw all sorts of changes, ranging from visual to performance updates, and speaking of visual changes, if you want to change the look of your Windows 10 with custom themes, today we’re going to teach you how to easily install third-party themes on Windows 10. 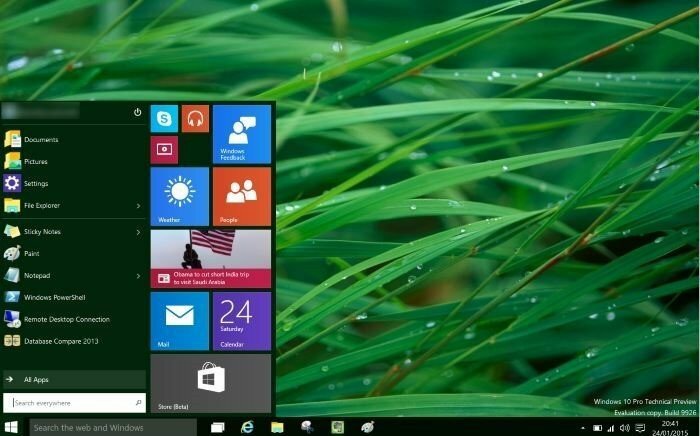 Windows 10 is similar to Windows 8.1 since it doesn’t allow you to install third party themes by default, but luckily for you, there are few solutions that allow you to bypass this limitation. How to apply third party visual themes to your Windows 10 PC/laptop? Before you install third-party themes on your Windows 10 PC, you’ll have to patch system files. Patching system files isn’t a simple process, but fortunately for you, there are several apps that will patch system files for you, and allow you to install third party themes. We have to warn you that patching system files using the third party software might create unexpected issues, so please perform the patching task at your own risk. That being said, here are best three applications for patching system files. UxStyle is an application that removes Windows theme signature requirements in order to enable third-party customization of your Windows. This application supports a wide array of Windows systems including Windows XP, Windows Vista, Windows 7, Windows 8, Windows 8.1, Windows Server 2003, Windows Server 2008, Windows Server 2008 R2, Windows Server 2012 and Windows Server 2012 R2. As you can see, you’re not limited to Windows 10, and you can also use this software on almost any Windows system. Next on our list is UXTheme Multi-Patcher. This applications lets you use non-certified visual styles by bypassing Microsoft’s certification verification in uxtheme.dll. Like the previous application, UXTheme Multi-Patcher supports almost all Windows versions, including Windows 10 32-bit and 64-bit versions. Last on our list is UltraUXThemePatcher, a well-known application for patching system files. This software can be used for patching files on Windows XP, Windows Server 2003, Windows Vista, Windows Server 2008, Windows 7, Windows 8 and Windows 8.1, both 32-bit and 64-bit versions. Before using this application you should know that UltraUXThemePatcher application will make few changes to your system files, so keep that in mind. After you have successfully patched the system files, copy the selected theme folder (available with a .theme file) to “%windir%ResourcesThemes” folder. In addition, you can also open this folder by pressing Win + R keys to open the run command and typing the folder path. After doing that, you just need to double click .theme file of your third-party theme and your new theme will be applied on your Windows 10 computer. Installing third-party themes on Windows 10 isn’t impossible, although it’s disabled by default but if you don’t feel comfortable with patching systems files and potential risks, maybe you shouldn’t try to do it.